We just spent a weekend in “Lot”, discovering yet another beautiful area of France. All my blogs about France seem to start the same way: “I had no idea this area was so pretty and interesting…”, but I suppose that is because most of France just is! 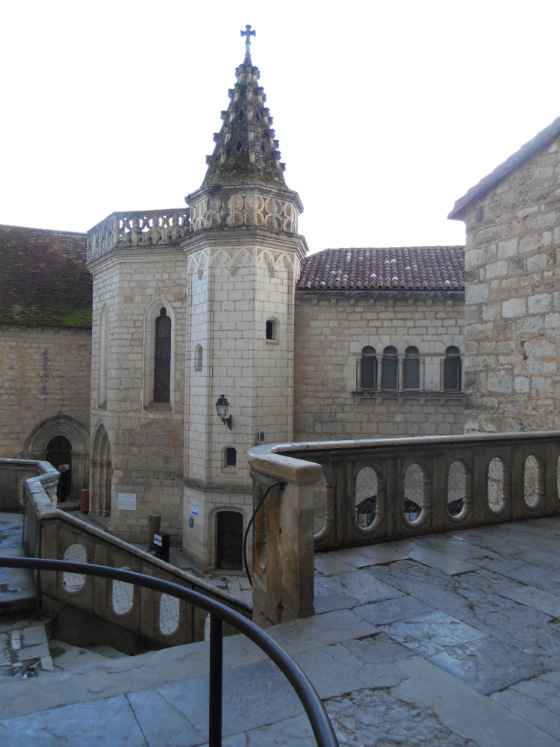 There’s so much to tell you of our wonderful weekend away that I’ve made this a two-part story; today featuring ‘Day 1’ at Rocamadour and next week’s blog ‘Day 2’ at Figeac. Lot is a department in the northern part of the Midi-Pyrenees region (technically now part of one of the newly formed mega-regions called Occitanie), which is in south-west France. It sits on the south-east border of the hugely popular Dordogne department in northern Aquitaine. Quite a few FMH clients have visited this area before us and told us to go there, so when we were invited to come and discover it with friends we jumped at the chance. We arranged to meet our friends in the famous village of Rocamadour, at the gourmet restaurant Jehan de Valon. We had a truly excellent meal, with a fabulous view and delicious food at exceptionally good value – especially for such a touristy spot. After lunch, we took a stroll through the village and the grounds of the chateau above it. The evening before, we had stayed on the Paradis du Campeur campsite in one of our Euro-Traveller campervans. 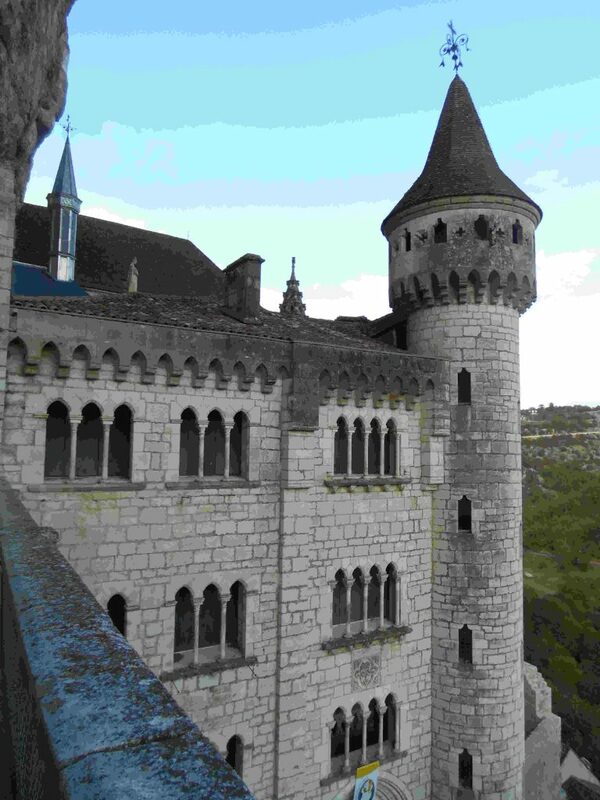 The site was very conveniently located at the top of the hill above Rocamadour. It was not the loveliest campsite we have stayed on – shower blocks that are partially open to the elements in October tend to be a spidery and chilly for my liking! However, they were just a couple of days from closing for the season. We are confident it would be better earlier in the year, and the outdoor pool would be an asset on a hot summers day. 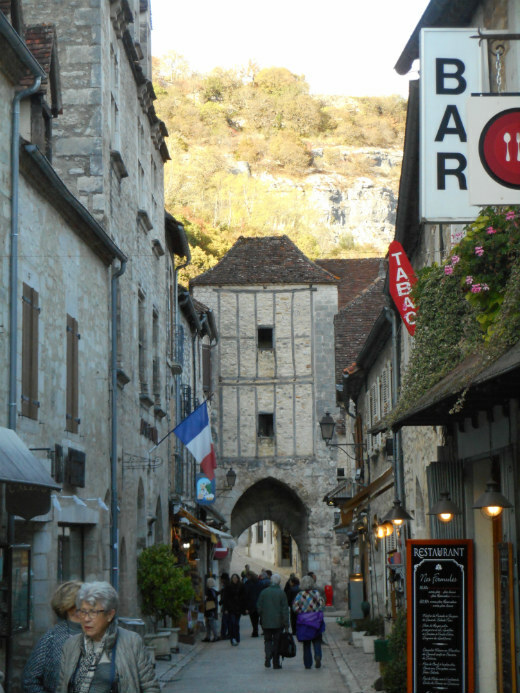 We decided we would stay there again if we visit Rocamadour another time, simply because of its location above the village, with restaurants, bars and a little supermarket on the doorstep. Rocamadour is one of those must-see places and it lives up to expectations, although you should be prepared for a visit surrounded by other people as this is one of the most visited tourist spots in France. This historic, religious gem clings to the vertical cliffs like a seagull’s nest, with hundreds of houses and religious buildings literally built into the steep rock face (see the video below). Gravity must not have existed when they built the chateau that sits above Rocamadour, there is no other explanation for how it could possibly have been built! You can walk up to the chateau from the village using the 216 steps of the Pilgrim’s Staircase, or, if you don’t fancy the somewhat breath-taking climb, there is believe it or not, a pair of lifts that will take you to the top in about two minutes. Taking the lifts does rather bypass the main events, so if you can tackle the steps you should as you will see so much more, including the Chapel of Miracles (housing the Black Madonna, which has been worshipped there for over a thousand years) and the UNESCO world heritage sites of the Basilica of Saint-Sauveur and the crypt of Saint-Amadour. The sight from the top of the village was the end to the first prefect day in Lot… see you next week for Day 2!